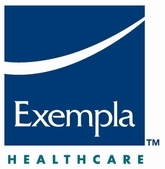 Exempla Healthcare was established after conglomeration of three medical service facilities - Primera Healthcare physician group, Lutheran Medical Center and Saint Joseph Hospital. The medical center has 12-room suite as its operation theatre, a recovery room with 18 beds and even a pre-surgery room with 24 beds. The medical center follows a widespread rule of one doctor, one patient in order to offer best service throughout the region. All crucial facilities of healthcare care services under the organization are offered in three major medical centers of Good Samaritan, Saint Joseph and Lutheran. All these facilities under the organization is distinguished for clinical excellence.